So, they are thinking that, with a new naming strategy for changing the name of the town from Staines to Staines-on-Thames they can improve the image of the suburban Surrey town. Staines-based branding specialists, Design Incorporated went (not far) to investigate. 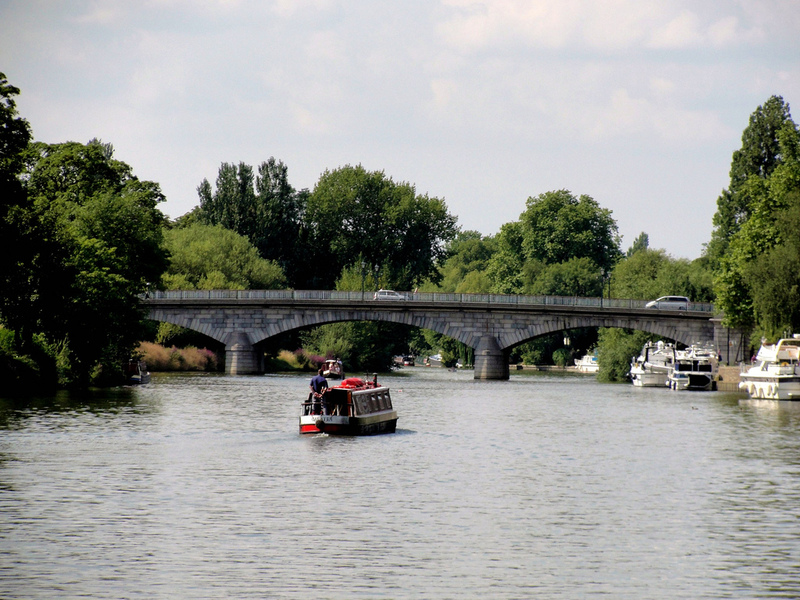 The Romans settled in Staines in 43AD and the first Staines Bridge was constructed to provide an important Thames crossing point. In fact it is assumed there was more than one bridge as the Roman name for Staines was ‘ad pontes’ (at the bridges). The present day name of Staines actually comes from Old English meaning ‘the place of the stones’. In fact a border stana, or stone, on the bank of the River Thames, dated 1280, still remains, indicating the western limit of the City of London’s jurisdiction over the Thames. The Thames therefore, and Staines’ situation as a major crossing point has always been key to its heritage and its involvement in national affairs; the barons assembled there before they met King John at Runnymede in 1215, and Stephen Langton held a consecration there shortly after the issue of the Magna Carta. Sir Thomas More was tried in 1535 in a Staines public house, to avoid the outbreak of plague in London at that time. Kings and other important people must have passed through the town on many occasions: the church bells were rung several times in 1670, for instance, when the king and queen travelled through the town towards Windsor. The river has also been key in the decision of locating industry, with the Linoleum Manufacturing Company settling in Staines to set up business in 1864. Linoleum soon became the main industry of the town and the company was a major employer in the area up to the 1960s. These days, the town is home to a number of blue chip companies including BUPA, British Gas, Logica, Siemens, Centrica and Samsung. And, bringing the town right up-to-date, Staines is poised for major expansion with construction already started on the ‘Staines Central’ scheme – a five storey, 3 building, retail, office, hotel & communications hub in the centre of the town. Creative agency, Design Inc is located directly opposite. The Forum insist there would be a public consultation before any formal decision was made and they are fully expecting to meet with opposition from residents who see no need for a name change. If you would like to discuss your own branding project with us, contact Frank Norman on 01784 410380 or by email.